The main objective is to provide opportunities to those who are highly interested to develop a cultural experience in helping with their time and skills to help communities. Participants will receive a brief advance information on health care, and some cultural features (such as what we can and can not do in a family in Nepal). The city tour will be organized to some important places such as the Bureau of Immigration, the post office, banks and other institutions in the Pokhara valley. The basic skills of spoken language, népaliseront taught by Professor of Nepali language. Participants will also stay in a Nepalese family to foster cultural experiences and develop skills in the local language. This will be followed by lectures on various issues concerning Nepal. This may be a preparation phase for the participants before moving to the countryside. Participants will have many opportunities to learn about Nepal, both theoretically and in practice observing and participating in family and community. All these activities and experiences help to build confidence and develop cultural understanding necessary. As the participants will interact with different people in a new environment, it will be a great opportunity to share their ideas and skills. The participant will learn to overcome obstacles and solve problems. In other words, this is a process of "give and take" where participants not only contribute by giving their time and skills, but also a new perspective of the world. This phase can also be a bit frustrating, but it will be an unforgettable experience! 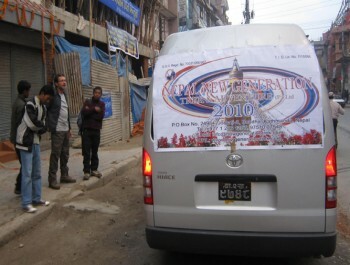 The program includes a week's trek primarily intended to introduce them in rural areas of Nepal beyond the city. During this trek in the mountains of the Annapurna region and villages, participants will share the traditional lifestyle of the Nepalese people and enjoy a breathtaking view of snowcapped peaks, lush valleys with their flora and fauna. 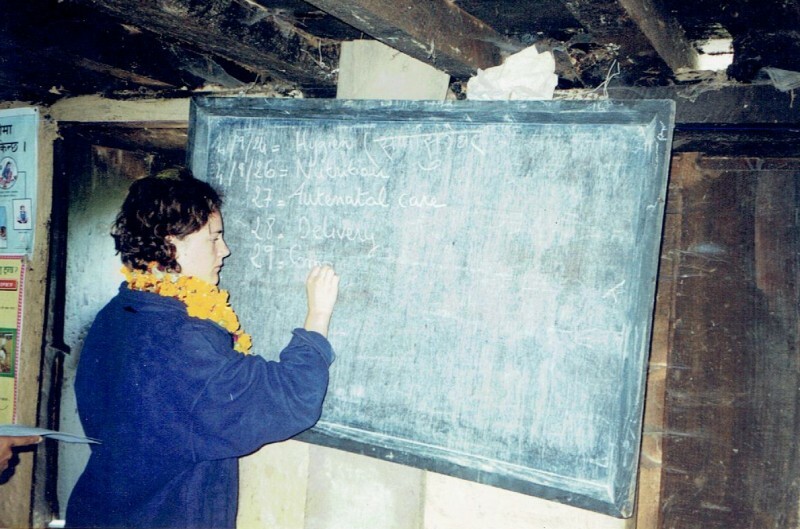 Here, participants can test their language and cultural skills to good use in another part of Nepal. Regions are very different trek rural traditional untouched by tourism. 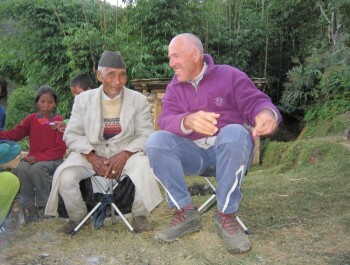 During their stay in Nepal, participants will have enormous opportunities to explore and discover a unique lifestyle. They will experience the natural beauty of the country and feel the heat from the smiling Nepalese people and will leave with an abiding love for this country. All applicants must have a desire to help the people of Nepal, have flexibility, strong motivation, openness to a new culture and a willingness to learn. You will be staying in a family with a clean and comfortable. Local arrangements cover three meals a day consisting of typical Nepali lentil soup, curry, white rice, pickles, etc. 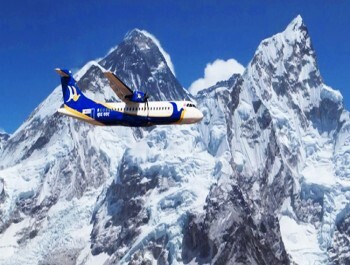 The most important fact to remember is do not s' expect luxurious accommodations here in Nepal. You can share your valuable knowledge with hospitals and health centers, orphanages, in the field of ecology of the environment and more. Please write your intentions, your experiences for a stay as productive as possible. You can provide your support in school and for rural development programs in the following manner. 1. Sponsorship of children from our village to study at primary or secondary. 2. Support for the promotion of tourism businesses such as the trekking agency, promote travel and visits of tourists to our region. 3. Contribute a small sum of money such as a single or monthly donation. The money will be spent to pay teachers. 4. Provide educational materials, play equipment, educational materials and musical instruments. 5. Provide money to buy textbooks for students for one year can also provide English language books for the library. 6. Provide office supplies such as pencils, pens and calculators. 7. Provide audio-visual equipment, such as slide projectors, older computers, projectors and laboratory equipment. The program can continue with Trekking , rafting, hiking, horse riding and mountain flying. Note: Contact us for prices and information on trekking and other activities.